So I blocked Flower Market on Thursday night of last week, and she was dry by Friday morning. She went from about 18.5 inches at the spine, to 27 inches after blocking. I love this yarn so much - in my opinion, Prairie is just about the perfect laceweight. 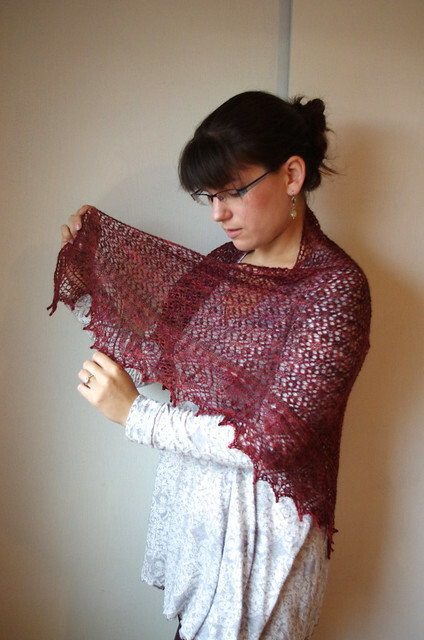 It's definitely a true laceweight in thickness, and the texture and slight sheen of the single ply is quite lovely. That, and I've noticed that my first Prairie shawl is still looking crisp and freshly blocked, even though it was blocked about a year ago and was a store sample for several months, too! I think this must be the superwash in the yarn - it doesn't seem to respond to heat and wet the way that a non-superwash wool does. So, how about that final product? 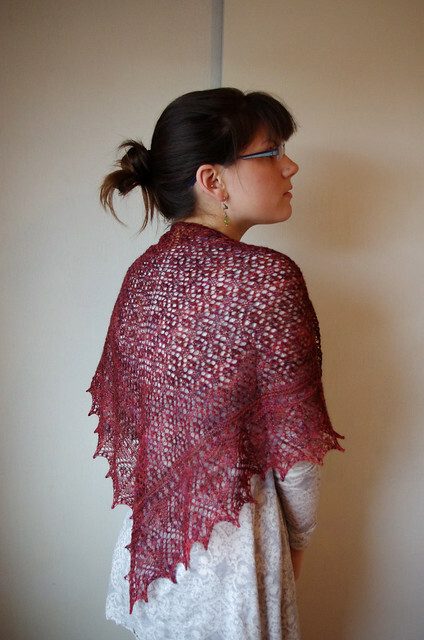 Well, I loved this pattern - it was fast, well-written, and relatively easy. 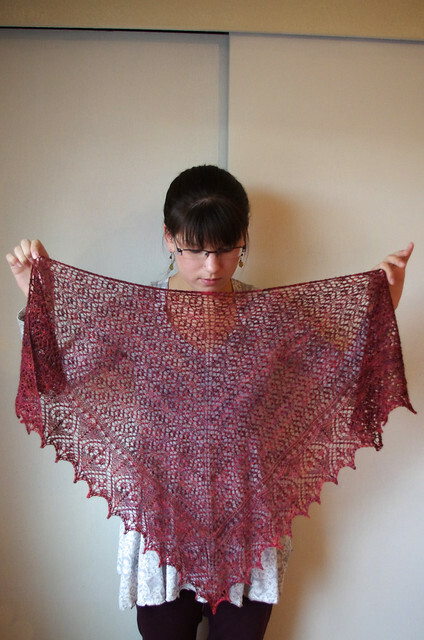 Or at least, very straightforward for a seasoned lace knitter; I wouldn't necessarily recommend it as a first lace project just because the motifs aren't as intuitive as, say, an Evelyn Clark shawl pattern, but I had no problems with it. This is an unusual color for me, but I've found myself reaching for it quite a bit already. 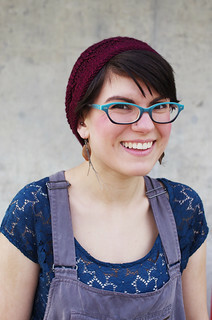 I was talking about it with a knitting friend yesterday, and we surmised that burgundy can be treated a bit like a neutral at times, even though it is technically a color. Also, thanks everybody for your input about the dress form! I'm still trying to decide on a name, but I do have it narrowed down a bit. I'll be sure to share when I figure it out! 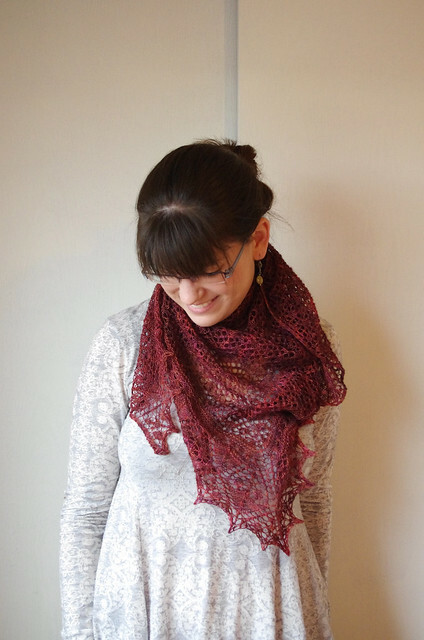 Pattern: Flower Market Shawl by Allison LoCicero - gifted to me by the lovely Ethan!